I could not properly coach you through the pronunciation of this South End hot spot, but I can absolutely assure you it is fantastic! Yamazaru is a swank Japanese restaurant located at 2173 Hawkins St, in between Sycamore Brewing and Spectrum Apartments. 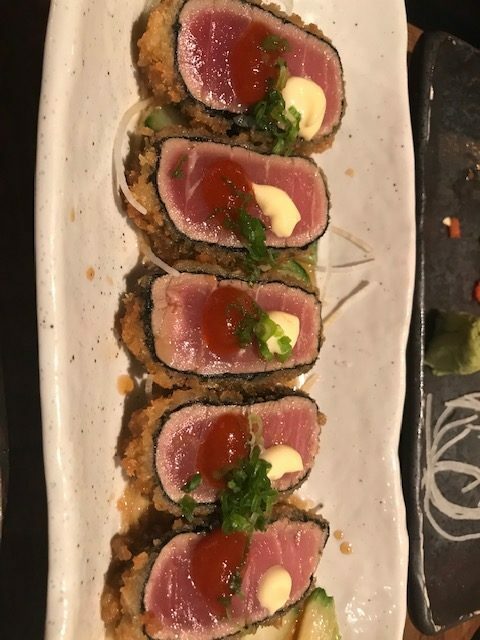 It boasts a huge menu full of unique sushi rolls, noodle dishes and ramen. Let’s chat ambiance. Upon walking in, there is a huge, fully stocked bar to the right. To the left is a sushi bar. Sitting at either puts you right in the action and the place is almost always packed. If bar seating isn’t your thing, then there are plenty of tables to pick from for large groups or intimate date nights. When I went, it was early on a Friday night and there was not a seat to spare. It was slightly chilly, but even the outdoor patio tables were full. As for the food, one could call this a hidden gem in Charlotte. 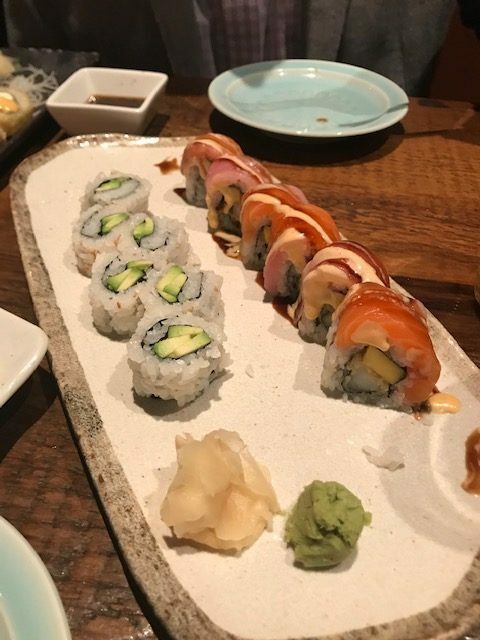 Many others call it the best sushi in the city. I do not think I would disagree with any of those epithets. The normal, beloved rolls are available like an avocado or spicy tuna roll. But there are also are some unique rolls, like the krystal rainbow (no rice) and the tuna bomb. Our waiter was incredibly knowledgeable and helped us pick the right variety of rolls- from fried vs. non-friend, savory, and sweet, he helped guide us to the “best sushi experience” as he put it. He also took time to explain different preparation methods as well as dipping sauces. His care and pride in working there was evident. 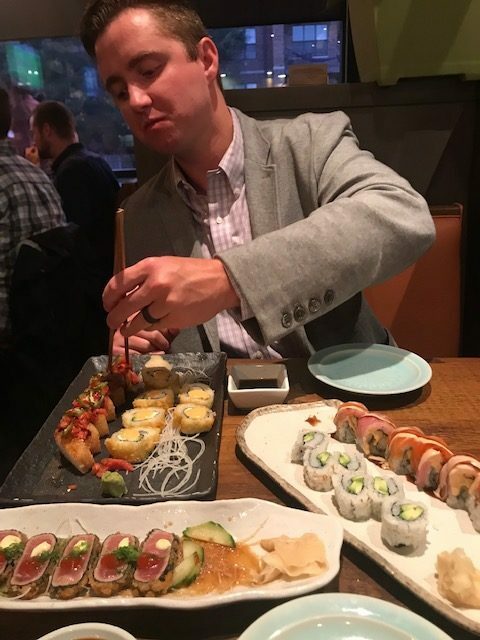 Our waiter also helped us find the right craft cocktail to complement our sushi choices. Just like the food, there were some tried and true favorites (good old local craft beer and wines) but also some unique cocktails prepared with sake. I opted to go out on a limb and try the mojito made it sake- it truly was delicious and refreshing and complimented our rolls so well! So, major tip, when going to check out this place, let the pros guide you through the meal, their recommendations are from a place of expertise and help you not only try something a bit different, but also open your eyes to a bit of a new experience.